Here at KES FACILITIES limited we are highly experienced in the installation, repair, and servicing of a wide range of Gas, L.P.G and Electrical catering and mobile catering appliances, equipment, associated pipe work and controls. Our Gas Safe registered commercial catering engineers are fully qualified and our first priority is gas safety, our team can work with you to ensure your kitchen or mobile unit complies with all the latest requirements and can carry out gas safety inspections and issue certification to meet the needs of local authorities and insurance companies. It is your legal responsibility as a business owner to make sure you Gas or LPG installation is safe, the easiest way for you to demonstrate this is by having at least an annual gas safety inspection, during this inspection our engineers will check and test all your equipment including undertaking air quality measurements to make sure your kitchen meets the requirements of IGEM/UP/19 the legal industry standard, they will then issue you a CP42 commercial catering gas safety certificate to demonstrate compliance. 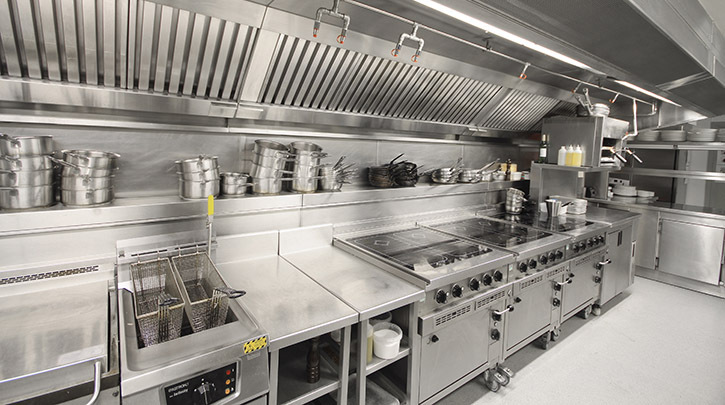 KES Facilities commercial catering engineers are experienced at undertaking repairs and the installation of Gas Electric and L.P.G Cookers, Ovens, Salamanders, Fryers, Bain Maries, Griddles, Grills. Hot Cupboards etc to the highest standard. We supply and install Gas safety interlocking systems and solenoid valves at competitive prices. KES Facilities limited offer a fast reactive service for emergency situations and planned maintenance for your regular servicing requirements call today to book your next appointment. If you are thinking of purchasing new equipment why not give us a call and we can quote an all inclusive price for a wide range of quality catering appliances, and commercial heating equipment covering full installation, commissioning, and certification. KES Facilities limited are also fully qualified commercial catering engineers and therefore install test and purge gas service pipework in your premises this being Commercial pipework. KES Facilities limited also undertake Commercial (non-domestic) Gas safety installation inspections. We can also supply and install Gas proving and remote isolation systems.